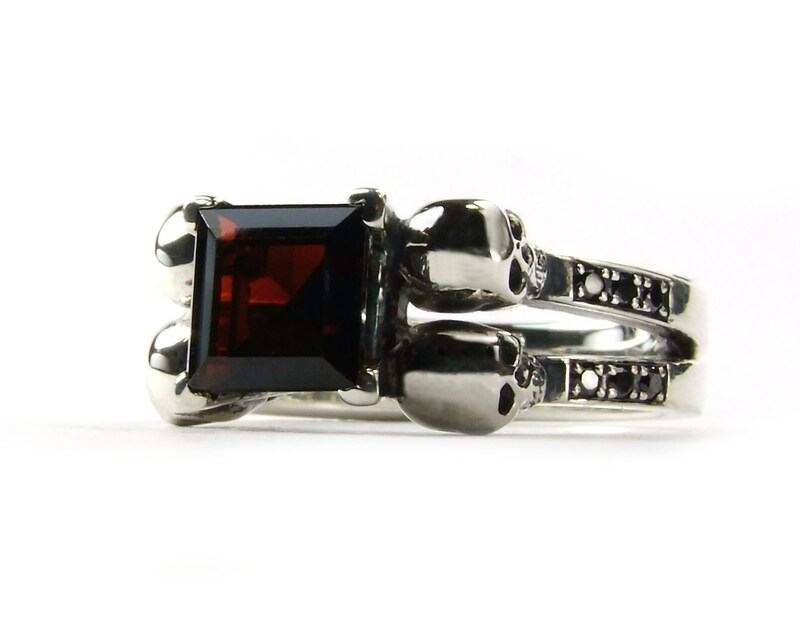 This gorgeous skull engagement ring will be perfect for your goth wedding or engagement! Center stone is a square blood red garnet from mosambique, surrounded by 4 little handcarved skulls. In the bands are set 12 natural black diamonds to add extra glam. 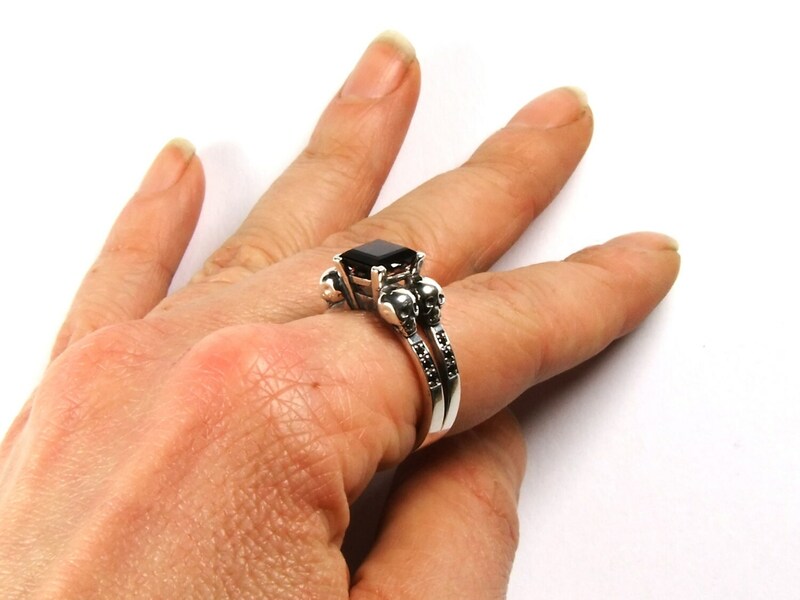 The black diamonds can be replaced by ruby or white diamond for your custom ring. Its also possible to have the ring without the small stones in the bands. 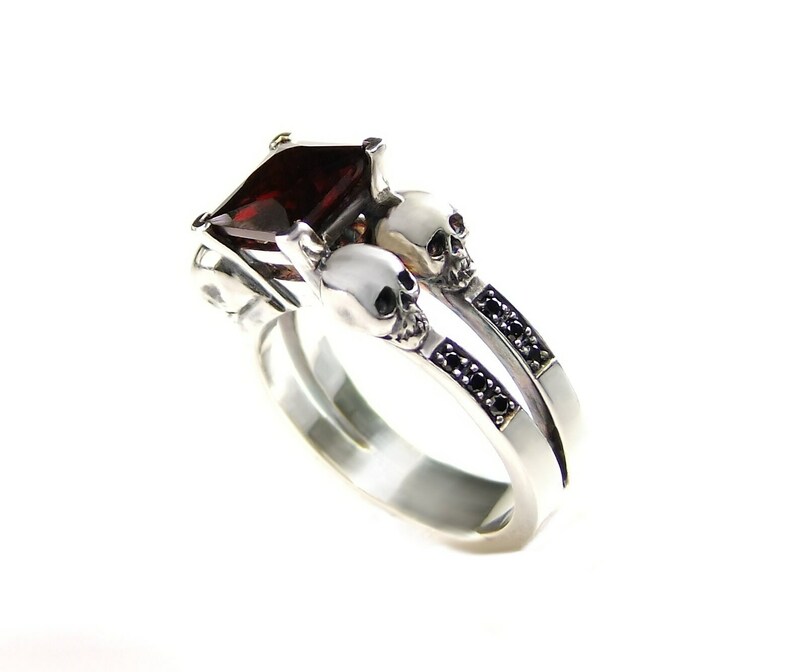 This special skull engagement ring is available in different sizes and materials. Please, convo me for a quote if you want it in gold or with a special stone. 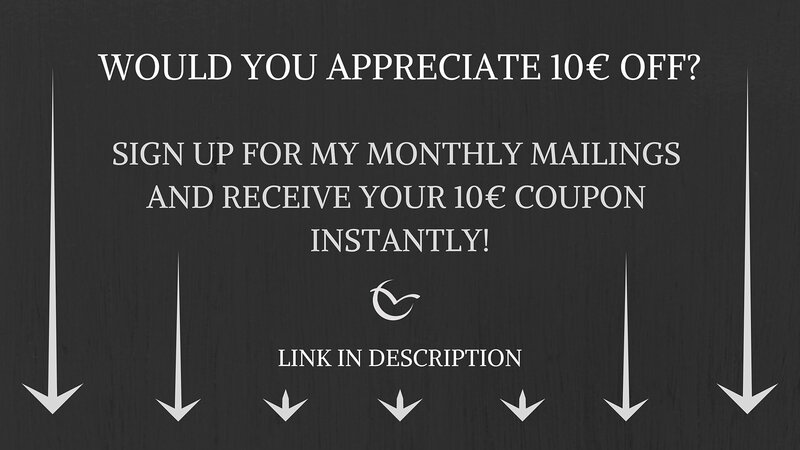 I gladly offer payment plans for all of my jewelry! 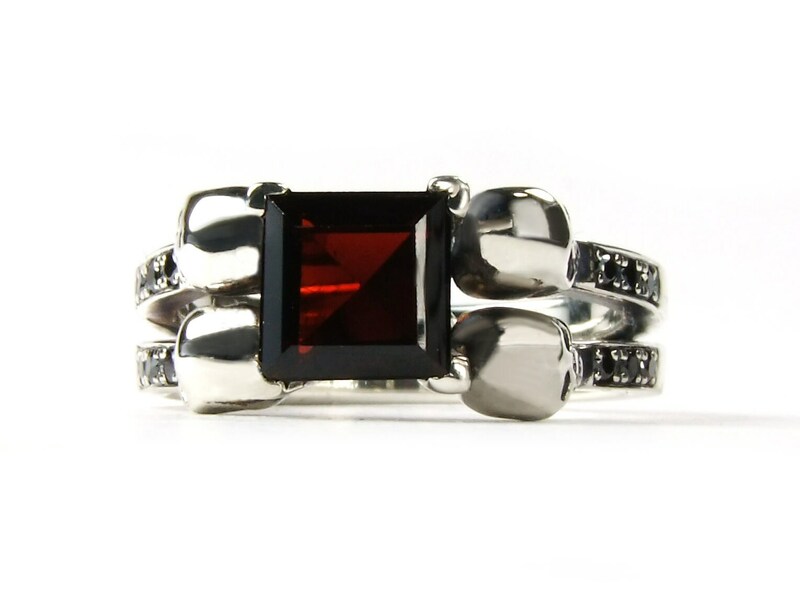 The red garnet in the center measures 7x7mm. The natural black diamonds in the bands 1.6mm. My little skulls show the most vivid and natural expression. All cavities of the ring are blackened. One skull is ca. 4.5x5mm, the ring is between 8mm (under the skulls) and 4mm wide. That makes it very easy and comfortable to wear. Gladly i will make this ring for you with other stones! What i have in stock is black spinel, green peridot, blue topaz and purple amethyst. See the options > material for prices.